Our house provides 111 furnished single rooms of about 10 m². These are part of accommodation units for eight to twelve persons each. 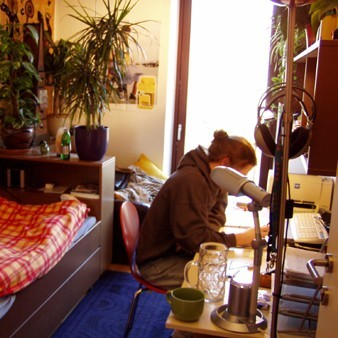 Students share a kitchen and a common room. Each room has internet access and French windows. Each accommodation unit has a balcony in the common room.